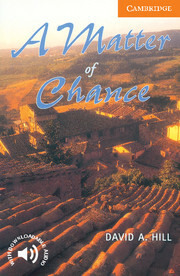 Paul Morris's happy life in Italy changes when his wife dies suddenly. He develops a relationship with Sandra, a friend at work, but everything is not as it seems. How can Sandra afford such an expensive car? And why does she keep making mysterious phone calls? Soon Paul is involved in international crime and a thrilling car chase across Europe.Paperback-only version. Also available with Audio CDs including complete text recordings from the book. Contains adult material which may not be suitable for younger readers.